The Nepal Tiger Project is a 501(c)3 charitable organization. 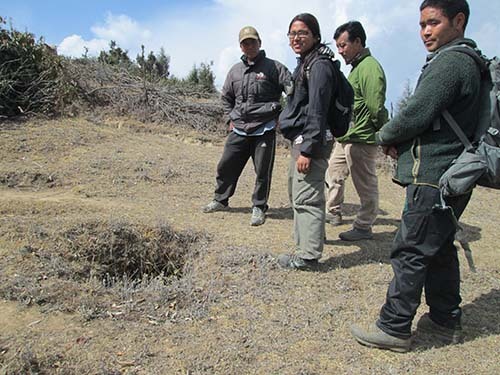 The biggest components of this project will be documenting the presence of wild tigers in the Okhaldhunga District. We will be working with the local Sherpa people on ways to protect their livestock, and assisting them in being compensated for any losses incurred due to depredation. We will be sending a team of local and foreign biologists, foresters, and educators to the project area to document tiger numbers, their territorial sizes, prey base, etc. We will also be working with villagers on conservation education programs as well as ways to improve their standard of living while sharing the land with tigers and leopards. 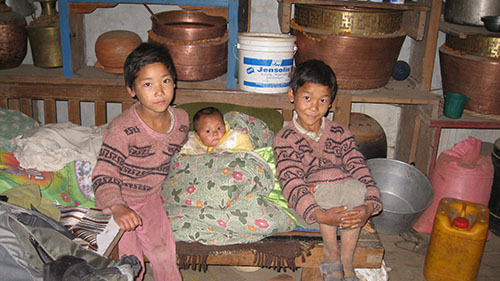 Your small donation of $10.00 or more will go a long way in a country such as Nepal. Not only will you be protecting tigers of this area from extinction, you will also be helping to employ local people in a country where jobs are scarce. Please donate to this worth while project, and tell a friend!! For more information on how to get involved, contact us at info@nepaltigers.org. Please know that your donation will go directly to fulfilling the mission of the Nepal Tiger Project.